PICOT Statement and Literature Research. 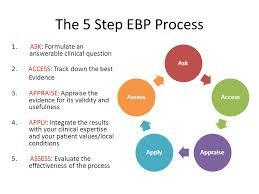 The first step of the EBP process is to develop a question from the nursing practice problem of interest. Select a practice problem of interest to use as the focus of your research. Start with the patient and identify the clinical problems or issues that arise from clinical care. Following the PICOT format, write a PICOT statement in your selected practice problem area of interest, which is applicable to your proposed capstone project. The PICOT statement will provide a framework for your capstone project (the project students must complete during their final course in the RN-BSN program of study). Conduct a literature search to locate research articles focused on your selected practice problem of interest. This literature search should include both quantitative and qualitative peer-reviewed research articles to support your practice problem. Select six peer-reviewed research articles which will be utilized through the next 5 weeks as reference sources. Be sure that some of the articles use qualitative research and that some use quantitative research. Create a reference list in which the six articles are listed. Beneath each reference include the article’s abstract. The prevalence of Hypertension (High Blood Pressure) has been rising over the years across both developed and developing countries. However, disparities in the prevalence of hypertension exist between high-income countries and low-income countries. The prevalence of hypertension is affected by several factors such as age, socio-economic status, gender and education (Keyler, Milan, Ding, Alderman, Harrison, Medicine Baltimore, 2015). The following is a literature review on relevant articles on hypertension and associated factors affecting its prevalence. By the year 2010, the hypertension prevalence had decreased in high-income countries by 7.7%, while in low-income countries the prevalence increased by 2.6%. The prevalence trends between low and high income, earning countries in hypertension are attributed to disparities in treatment measures, awareness and control measures. The delivery of healthcare faces various challenges in many low-income countries. According to the World Heart Federation, interventions that seek to address awareness and screening will achieve an interim step in reducing the prevalence burden. A study was done to assess the prevalence of hypertension and its relationship with demographic factors. The levels of education, age and lifestyle factors are the primary determinants of the prevalence and prognosis of hypertension. The researchers concluded, that hypertension screening is paramount especially among the male, obese and the elderly. There is a close relationship between obesity and hypertension, therefore the need for practical solutions to develop lifestyle modification. Smoking and drug abuse were more prevalent among men, while the sedimentary lifestyle was every day among women. The cross-sectional study was done on the prevalence and determinants of hypertension and associated cardiovascular risk factors. The results indicated that there is a significant association between the level of education and the prevalence of hypertension. The study indicated that the prevalence was twice high in those who had primary education compared to those who had undergraduate and postgraduate levels of education. The difference was higher in women whereby among the less educated, the prevalence was fourfold as compared to the educated. The researchers associated this with low social, economic status, especially where women are less empowered in the low income earning countries. Obesity and physical inactivity were more frequent in women than males. This, therefore, explained the statistical dominance of hypertension in females. The majority of the participants reported that they were not aware of hypertension condition and associated factors. According to the study conducted on the prevalence and incidence of hypertension in the general adult population, social demographic factors are determinants of the general prognosis of hypertension. The comparison was made between European countries and North American countries. Generally, the prevalence was high in the European countries compared to the later. The regional differences were evident also in the awareness of hypertension. Hypertension emerged to be the leading cause of mortality and morbidity. In comparison with other studies, the disparities occurred due to diversity in population structures, especially age, and compliance strategies in blood pressure control. Chobannia, Av, Bakris GL, Blach HR, Cushman, Green La( 2013) prevalence and determinants of hypertension and the associated cardiovascular risk factors, PubMed Journal 70(3), 908-622. PICOT Statement and Literature Search. According to the findings on adverse effects that predict hypertension, cardiovascular diseases, hypertension included, are more paramount among populations in lower social, economic status class; those with a lower level of incomes and with the low level of education. Adverse effects mostly have occurred from unhealthy diets, obesity predominance, and the other lifestyle metabolic syndromes. The psychological aspects, for example, stress, also contribute to the stabilization of blood pressure levels. Education and knowledge were associated with patients’ health-seeking behavior, compliance, and other health-related needs. The study was conducted to find out the modifiable risk factors of hypertension and the social demographic profile. The modifiable risk factors were physical inactivity, high intake of salt, obesity, alcohol consumption and smoking. In comparison with the other research findings, hypertension is a modifiable lifestyle disease. Therefore, defined lifestyle modification strategies, the incidence, and the prevalence can be alleviated. Chobannia, Av, Bakris GL, Blach HR, Cushman, Green La( 2013) prevalence and determinants of hypertension and the associated cardiovascular risk factors, PubMed Journal 70(3), 908-622. Mohammad, Maryam, Maliheh, Tareheh Hassannia, AldolrahmReazzae;(2016) assess the prevalence of hypertension and the relationship with demographic factors, biochemical and anthropometric factors; PubMed Journal77(5), 89. Explain the attributes of a successful health leader. Describe issues related to globalization, power, followership, and culture change from a health leader’s perspective. -2: Evaluate approaches to leading individuals and teams, and eliciting support from senior principles. -3: Identify change management practices by discussing change sponsorship versus agency of change theory. -4: Evaluate leadership strategies essential to successfully accomplish change including interpersonal, organizational, and cultural dimensions. For this Assignment, outline issues related to globalization, power, followership, and cultural change from a health leader’s perspective. Identify at least three major global health issues that have impacted the U.S. health care system, and describe how this has affected and influenced stakeholders. Relate the global leadership style differences and similarities within the constructs of transformational leadership. Discuss at least three critical elements of culture and diversity on the modern health care organization. Also, provide a table or list of cultural attributes to be cognizant of. Finally, categorize global leadership differences according to a leader’s use of power, technology, and knowledge management. Provide at least two leadership approaches for implementing change. Health care institutions are different from other institutions because of the unique their framework and continuous change. Leaders of health organizations should be competent and skilled to ensure the success of the organizations (Birken, Lee, Weiner, Chin, Chiu, & Schaefer, 2015). A healthcare leader should be in a position to influence employees to work towards a common goal. The leader sets organizational goals that are clear and measurable to guide the organization. The performance of the organization is assessed by the achievement of the goals (Birken et al., 2015). The leader acts as a change agent who initiates and maintains change within an organization. With the current dynamic healthcare system, current working techniques may be an outdated necessitating need for change. The leader plans initiate, and maintain the change to improve the services and performance of the organization. The leader guides subordinate through the change process. The leader identifies challenges and obstacles during the change process and offers solutions (Birken et al., 2015). Also, a good leader should create a culture of accountability in the organization. Employees should know their roles and responsibilities. Therefore, employees should take responsibility for their actions and use their roles as learning opportunities for future growth and improvement (Frich, Brewster, Cherlin, & Bradley, 2015). A successful leader possesses effective communication skills. The leaders should pass information without bias to all employees. Excellent communication skills are required to communicate change when initiating change process and to handle disciplinary cases within the organization (Frich et al., 2015). Development of advanced transportation and communication technology has led to increased movement and interaction of people globally. Advanced transportation and communication have led to the dilution of cultures; people may inherit cultures which have an impact on their health. Individuals abandon their cultures leading to change in lifestyle, behavior, beliefs, and values (Nica, 2015). Health has become complex and dynamic due to the introduction of new health technology, increased competition, and socio-cultural growth. The leader is required to set goals, attributes, and specific organizational culture. Subordinates implement the leader’s goals. The leader sets an example through actions and behavior (Frich et al., 2015). With globalization, there is increased foreign direct investment in health. For instance, a country may decide to train international students who, upon graduation work in the country they were trained or their country of origin. Brain drain creates a workforce shortage (Frich, et al., 2015). Everybody in the organization has a role in the change process and understanding the roles and responsibilities helps in achieving change. Some obstacles may be experienced during the process such as employee resistance and communication breakdown. To avoid employee resistance and communication breakdown, leaders have a task to plan well and identify feasible strategies to make the change (Nica, 2015). Change sponsorship helps manage employees’ resistance. A change sponsor is an executive member of the organization with a clear understanding of the organization’s goals, vision and the reason for the change. A leader is in charge of the initiative. Therefore, the leader offers direction to employees on the process and encourages employees throughout the process of change (Shanafelt & Noseworthy, 2017). Change agency helps to manage change in some ways. A change agent is a person or a group in the organization who implements suggested change, for example, a human resource manager. Change agents are experts with knowledge concerning the change. Change agent plays a role in advising the sponsor and stresses the importance of change through education. Change agent also measures the progress of the organization towards change (Ginter, Duncan, & Swayne, 2018). Effective communication is essential during the change process. Employees need accurate information about the change in time. Effective communication helps the organization overcome employee resistance to change. Employees should get information about all aspects of change. The leaders should be able to answer the employees’ questions (Shanafelt & Noseworthy, 2017). The leaders should explain to employees how expected change will benefit their personal lives. Leaders should create a trusting environment that encourages change. Employees may have a fear of the unknown on the change process making them reluctant to embrace change. However, if the fears and needs are addressed appropriately, Employees commit to supporting change (Nica, 2015). Increasing the level of participation of employees in the change process from planning to implementation and maintenance of change will make change successful. Employees are the key individuals in implementing the proposed change, and their involvement is critical. The leaders should assess the environment where change is to be implemented before initiation. This helps to identify threats, obstacles, strengths, and opportunities (Ginter, Duncan, & Swayne, 2018). Birken, S. A., Lee, S. Y. D., Weiner, B. J., Chin, M. H., Chiu, M., & Schaefer, C. T. (2015). From strategy to action: How top managers’ support increases middle managers’ commitment to innovation implementation in healthcare organizations. Health care management review, 40(2), 159. Ginter, P. M., Duncan, W. J., & Swayne, L. E. (2018). The strategic management of healthcare organizations. John Wiley & Sons. Nica, E. (2015). Moral leadership in health care organizations. American Journal of Medical Research, 2(2), 118. Shanafelt, T. D., & Noseworthy, J. H. (2017, January). Executive leadership and physician well-being: nine organizational strategies to promote engagement and reduce burnout. In Mayo Clinic Proceedings (Vol. 92, No. 1, pp. 129-146). Elsevier. Frich, J. C., Brewster, A. L., Cherlin, E. J., & Bradley, E. H. (2015). Leadership development programs for physicians: a systematic review. Journal of general internal medicine, 30(5), 656-674. What is the history of the prohibition of marijuana in the U.S? Explain how the U.S. and many state governments categorize controlled substances into Schedules I-V. In which Schedule is marijuana classified? Why? Identify and describe the effects of marijuana use on the brain and behavior. Is marijuana addictive? Support your answer with research. Are there scientific studies that support a finding that marijuana use can have medical benefits? If so, what are those findings? Do you support medical marijuana legislation? What about legislation permitting recreational use? Use research evidence to support your answer. Substance Abuse Theory and Assessment. Marijuana use was not illegal in the USA before 1910. The influx of Mexicans to the USA during the Mexican revolution led to the ban on marijuana use. Mexican immigrants used Marijuana for recreation. Marijuana use became associated with immigrants. By 1931, 31 states had outlawed the use of marijuana. Fear and prejudice of immigrants precipitated the ban. Congress criminalized marijuana use in 1937. In 1950, a Federal law introduced sentences for drugs related offenses (Caulkins, Kilmer, & Kleiman, 2016). Schedule I drugs or chemicals have no acceptable use in medicine. Marijuana, heroin, and methaqualone are examples of drugs in schedule I. Schedule II drugs or chemicals can be easily abused and are highly addictive. Cocaine, methamphetamine, Dexedrine are examples of drugs in this category. Schedule III drugs have a moderate risk for abuse and moderately addictive (Drug Enforcement Administration, 2017). Ketamine and testosterone are examples of drugs in this category. Schedule IV drugs or chemicals have a low risk of abuse and addiction. Category V drugs have less risk for abuse and addiction than drugs in schedule IV, and examples include Lomotil and Motofen (Drug Enforcement Administration, 2015). A study done at Yale University in 2015 found out that there is a relationship between marijuana consumption and behaviors that are impulsive and hostile. Marijuana causes anxiety and puts those who regularly use it at risk of developing Schizophrenia. Neural connections in the right and left hemispheres of the brain in a regular marijuana user were impaired, and their intelligent quotient (IQ) was low (Cohn, Johnson, Ehlke, & Villanti, 2016). Marijuana is classified as Schedule I drug. Schedule I drugs are highly addictive and easily abused. The use of marijuana causes he marijuana use disorder, which is marijuana dependence (Timberlake DS, 2015). Marijuana use causes withdrawal symptoms that include irritability, sleep pattern disturbance, and restlessness (Caulkins, Kilmer, & Kleiman, 2016). Marijuana has over a hundred active components. Tetrahydrocannabinol is the component that causes addiction and intoxication. Cannabidiol is a component that does not intoxicate. The ingredient cannabidiol is used for medical purposes. Treating insomnia, chronic pain and nausea are some of the medical uses of cannabidiol (Cohn et al., 2016). Legislation of Marijuana is necessary. Legalization of marijuana for medical use is required. The benefit of cannabidiol as an element in marijuana should not be overlooked. The cannabidiol ingredient treats post-traumatic stress disorder and glaucoma. Recreational use of marijuana containing tetrahydrocannabinol is detrimental to health and should not be allowed. Use of marijuana for medical purposes should be considered. Ingredient cannabidiol should be isolated and used to treat conditions like glaucoma, chronic pain, and epilepsy. Tetrahydrocannabinol component has a lot of adverse effects, and its consumption should be controlled. We are here to help! Caulkins, J. P., Kilmer, B., & Kleiman, M. A. (2016). Marijuana Legalization: What Everyone Needs to Know®. Oxford University Press. Cohn, A., Johnson, A., Ehlke, S., & Villanti, A. C. (2016). Characterizing substance use and mental health profiles of the cigar, blunt, and non-blunt marijuana users from the National Survey of Drug Use and Health. Drug and alcohol dependence, 160, 105-111. Drug Enforcement Administration. (2015). Drug scheduling. Retrieved August 25th. Purpose statement for a nursing student. After attaining my Bachelor and Master Degrees, I am applying to advance in my nursing career. My rich professional history will allow me to excel in the doctoral degree program. My experience and passion for nursing will facilitate me to advance my knowledge in research writing and publishing. I am convinced doctor of nursing practitioner program in your institution will assist me to achieve my career goals. I am a self-motivated and self-directed individual with the ability to function effectively as a team player. I can offer excellent services with little or no supervision. I always execute my responsibilities effectively. It is my wish to grow and become an outstanding leader in the nursing profession. The doctor of nursing practitioner program will propel my motivation in research and publishing my works. I believe that the doctor of nursing (DNP) program at your university and my professional experience will assist me to improve my skills as a nurse practitioner. The program will allow me to contribute to my community by offering services learned. I will endeavor to empower my community and student nurses with the knowledge gained. Training at the university will help me maximize my contribution to my profession. Health promotion and prevention of disease will be my focus on learning. I will ensure that communities can access healthcare services easily. I will be an advocate for my patients and an agent of change. I believe that admission to the university will accelerate the process of achieving my career goals. I aim at serving my patients through research and advocacy. Skills attained will be used to ensure that my clients can access high-quality health services. Let us write a purpose statement for a nursing student for you! Moral Issues. Que 1: There are more than four hundred pet cemeteries in the united States, People often spend hundreds of dollars to bury their dogs, cats, birds, goldfish, and hamsters. Is this practice morally acceptable? Que 2: A man is falsely accused of a crime and spends fourteen years in jail. Finally, his accuser is overcome with remorse and admits having lied. When the man is released, he sues the State for wrongful imprisonment and seeks monetary compensation. The Courts rule that the State has no legal responsibility, but does it have moral responsibility? Why or Why not? Que 3: The question is “Do you agree with Ruggiero’s assessment of the intimate relationship between ethics and the law?” I intend this question in a general sense, but especially in regards the two examples he gives concerning the laws against sexual harassment and Prohibition. That is…. Que 4: …can you think of any other (non-ethical) explanations for why we (now/no longer) have these particular laws? Que 5: If so, what would those reasons be if not “ethical” ones? And furthermore, what might that mean for Ruggiero’s initial characterization of the relationship between ethics and the law in general? Spending expenditure on catering for pet burials is morally upright and humane. The culture considers pets as part of the family (Rohr, 2017). Domestic animals, especially cats and dogs are treated as a supplement portion of the household. The state had legal responsibility. The accused failed to convince the court of his innocence. The government should have stepped in to conduct its parallel inquiries through investigative agencies (Rohr, 2017). Failure to conduct enough investigations made the government legally responsible for the misfortunes that befell the accused. Ruggiero was right in his explanation. Ethics is considered as the focal point of morality in any society. Enacting laws without well-established ethical valuations means that citizens can act immorally, thus, violating the rules (Ruggiero, 2014). Therefore, ethics and law work hand in hand for the attainment of a morally upright community. The laws discussed are no longer applied. This is because of the contradiction between decisions and the respective verdicts (Ruggiero, 2014). Additionally, the laws do not have a clear jurisprudence that could render a lawbreaker guilty. Therefore, the laws are being treated as natural laws incorporated with ethics. In some circumstances, the judge is generally put to task in making sound decisions. About Ruggiero’s previous characterization, some judgments are made based on the ethical beliefs of a particular setup. Laws and ethics can be termed as two inseparable entities despite being different (Ruggiero, 2014). Do you require a similar paper, talk to us! Ruggiero, V. R. (2014). Becoming a critical thinker. Nelson Education. Rohr, J. (2017). Ethics for bureaucrats: An essay on law and values. Routledge. You have been asked by your agency to write a report on screening and treating potential clients for addictions. •Research screening tools and therapeutic interventions that are relevant to clients with particular characteristics such as gender, age, disabilities, culture, and physical handicaps. •Present a perspective of your choosing. ?Explain how you believe these types of clients will benefit from the interventions you chose along with any potential drawbacks you may need to overcome. •Conclude with how you will engage these clients in treatment from screening to the first therapeutic intervention. National Institute on Drug Abuse (NIDA), drug-screening tool, is used to screen adults. The tool guides a nurse to pinpoint patients at risk of substance abuse. This tool is essential in the early diagnosis of drug abuse and slows down the progression to dependence. Depending on assessment findings, outcomes can be low, moderate or high risk. The interventions range from reinforcing abstinence and offering support to referring clients for drug treatment (Garnick et al., 2013). Screening to brief intervention (SBI) too relies on asking questions on how many adolescents abuse substances and categorizes the different risks (Nelson, LaPlante, Peller, LaBrie, Caro, & Shaffer, 2017). Family therapy is one of the most important therapeutic interventions. Individuals are part of families and the community that affect their ability to cope. The nurse modifies the family and community to improve rates of success for client recovery. The nurse is interested in recognizing all the influences in place that lead to substance use. The influences include family influence, individual influence, peer influence, community influence, and educational influence. The manner in which a family member associates with the other family members may increase or reduce the problem (Nelson et al., 2017). Family therapy aims at examining encouraging factors for drug abuse. The nurse assesses various components of the family that favor drug abuse. These factors include how the family is lead, utilization of power within the family, role assignment and communication channels. During family therapy sessions, the nurse helps the family to identify patient’s weaknesses and develop techniques to improve the symptoms (Clark, Samnaliev, & McGovern, 2017). Also, behavioral therapy is essential in the treatment of substance abuse. Behavioral therapy focuses on obtaining goals that are directly related to the client. Behavior therapy examines undesirable behavior while identifying actions that support the presence of undesirable behavior. Different approaches are used to address the behavior. The goal of these interventions is to identify a potential problem and help the client to come up with a feasible plan for solving the problem (Shulman, Fishman, Gastfriend, & Miller, 2013). Strategic or interactional therapy helps the client to identify their strengths in dealing with drug abuse. The positive nurse-patient relationship is essential for the success of strategic or interactional therapy. The nurse modifies the environment around the client positively to encourage the recovery process (Clark, Samnaliev, & McGovern, 2017). 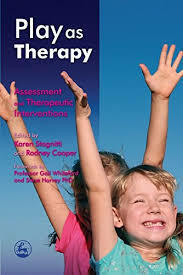 In conclusion, engaging the client during the process of assessment and treatment promotes treatment success. Different criteria used to ensure that the client receives continuous care. Allowing the client to make important decisions in every step help in treatment success is beneficial. Clark, R. E., Samnaliev, M., & McGovern, M. P. (2017). Treatment for co-occurring mental and substance use disorders in five state Medicaid programs. Psychiatric Services, 58(7), 942-948. Garnick, D. W., Lee, M. T., Horgan, C. M., Acevedo, A., & Washington Circle Public Sector Workgroup. (2013). Adapting Washington Circle performance measures for public sector substance abuse treatment systems. Journal of substance abuse treatment, 36(3), 265-277. Nelson, S. E., LaPlante, D. A., Peller, A. J., LaBrie, R. A., Caro, G., & Shaffer, H. J. (2017). Implementation of a computerized psychiatric assessment tool at a DUI treatment facility: a case example. Administration and Policy in Mental Health and Mental Health Services Research, 34(5), 489-493. Shulman, G. D., Fishman, M. J., Gastfriend, D. R., & Miller, M. M. (2013). The ASAM criteria: Treatment criteria for addictive, substance-related, and co-occurring conditions. Carson City, NV: The Change Companies. Elder Law Aged Care Act. Elder Law Aged Care Act. You are employed in a legal firm specializing in Elder Law. 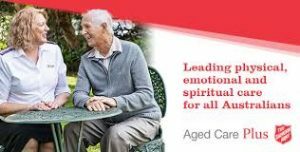 Your client has a mother who has recently been diagnosed with dementia and is a resident in a residential aged care facility. Your client tells you that the manager of the facility has rung her and told her that she will now have to take her mother to another facility within the next week as they haven’t the staff to look after her. Your client is obviously very distressed at this and asks you if the approved provider can actually do this. You are still employed as a junior solicitor is the same small suburban law firm. The partner is quite impressed with your work in the area of Elder Law and tells you that she has a new client coming in later that day. The client wants to move into a Retirement Village and wants advice about what kind of things they should be aware of before entering into any contract with the Operator of the Village. As the partner knows nothing about Retirement Villages she asks you to provide her with an overview of the key issues she will need to discuss with the client. The partner tells you she wants it set out, with headings and the relevant legislation in respect of purchasing a unit in a retirement village in the jurisdiction of New South Wales. Please prepare the overview for the partner. In the annual year 2014-2015, the government spent approximately 15.8 billion Australian dollars on aged care. It is inclusive of funding home-based care, residential care, and flexible care. Regardless, the elderly have continued to be subjected to bad experiences as they try to get care from different facilities in the country. In this light, the Aged Care Act of 1997 should be enacted. It will enhance the quality of life for the elderly. The Aged Care Act of 1997 provides that the government should offer financial support to the elderly. This is done through the payment of subsidies and grants. It is done in consideration to the approvals by the care providers and recipients. The elderly may be required to pay for some services. The providers should offer the quality of care and not charge more than what is provided in the act. They must be accountable and respect the rights of the elderly. In the case study, the client’s mother is being mistreated by the residential aged care facility. It has been suggested that the client should be taken to another facility because there is no staff to look after them. It distresses the elderly. The law must protect the client by evaluating the sections in the aged care act of 1997 that apply to the case. With consideration to the security of tenure provisions, the Aged care service providers are required to offer older adults with high levels of certainty. They must act reasonably so that the environment in the residents is safe and secure. The resident can only leave based on some circumstances. The first one is that the facility must be closing. Second, they can leave if the facility has not agreed to provide a specific type of care. Third, they can leave where the elderly do not need the care offered in the facility. Fourth, it can take place when the resident fails to pay the fee within 42 days after when it was due. Fifth, the resident will be asked to leave when they intentionally cause a substantial amount of damage to the facility. It may also be that they have caused injury to the employees or other residents. Sixth, they will be asked to leave if they are away on leave for more than a week for reasons not permitted by the act. The provisions make it daunting for the service provider to ask residents to leave their facilities. Even when they are justified to ask the resident to leave, the law requires them to ensure that suitable accommodation is availed. A family member who feels that the elderly are mistreated has the right to complain. In the case study, the residential aged care facility does not have grounds to ask the elderly to leave. It has not been fully confirmed that the facility cannot provide care to dementia patients. Having been approved to provide care to the aged, the management is obligated to find the right workers to help in such cases. Further, the client has paid the fees required to get the necessary care. They have not caused damage or injuries to the worker despite their health condition. More so, the facility has not made arrangements for another alternative accommodation facility. Instead, they require the client’s mother to leave within a week. The facility is liable for causing distress to the patient. It must not only pay for such damages, but the courts must also determine whether it should remain in operation given that the right environment necessary for the elderly is not provided. On its part, the facility can argue that it does not have the funds to employ specialists to deal with dementia. It is hence the importance to prove without a reasonable doubt that the facility has violated the client’s rights. Retirement villages offer the elderly with greater freedom as opposed to other facilities in the country. In the case study, both the service providers and the residents must be aware of the relevant legislation. It will allow them to make the necessary preparations and hence avoid legal disputes. The facilities are subject to the Retirement Villages Act of 1986. It was amended in 2006 and 2013. The village owner is expected to offer a fact sheet to the clients within seven days after the initial contacts with the potential resident. It addresses 39 issues on how they will provide care in the facility. Penalties are charged to the owner if this is not achieved. Henceforth, the client will be required to sign the document if they agree with the terms and conditions. The owner must register the facility before offering the services. The authorities have the right to close facilities that are operating without a license. The retirement village owner is legally entitled to retain the ownership of the land. They can offer a lease of a unit to the client in return for an agreed upon sum of money. It is known as a loan. The loans are repayable after the death of the resident. The repayment can be delayed to give a chance for a reselling of the unit. In case of agreements with non-owner residents, the owner should repay the amount within six months. The potential resident should be given the documents 21 days before signing and three cooling-off days after signing. This ensures that a person who is being misled into signing a contract has a chance to consult and changing their mind in time. Older adults are likely to make wrong decisions under duress. It is particularly true if they do not have legal representation during the period of signing contracts. Giving them time is therefore essential. The village manager does not have the right to increase the fee above the consumer price index. It protects the residents from the exploitation by the village owners. However, they can increase the price when the residents approve it. The deferred management fee can be paid upon leaving the facility. It is counted as the percentage of resale. The calculations can rise after five or ten years. The resident leaving the facility should pay for the repairs. The village owner must have an annual meeting with the residents. It should be audited unless the residents decide otherwise. It helps address some of the issues that the residents may have. Further, the owner has a chance to explain how they plan on providing quality care. A sense of transparency and accountability is achieved in this case. The disputes arising in the villages are handled through mediation. The village manager or owner should arrange the dispute resolution process. Mediation is an ideal way of resolving disputes for the elderly since they are not subjected to the lengthy processes in the courts. Proxies are not allowed by the village operators from the residents. The relatives may, however, play the role. It is in line with the Australian consumer law and the fair trading act of 2012. It protects the elderly from the deceptive and misleading practices in the consumer market. The operator cannot also ask the resident to give a power of attorney. All in all, understanding the laws that protect the elderly in Australia is important because it leads to the quality of life for the group. The Aged Care Act of 1997 protects the elderly from being exploited while in the residential aged care facilities. They must not be required to leave without being provided with alternative residents. The law also protects them in the village retirement facilities. They must be aware of the terms and conditions before signing the contracts with the village owners. Can we write a similar paper for you? Baldwin, Richard, Lynn Chenoweth, and Marie Dela Rama, ‘Residential Aged Care Policy In Australia-Are We Learning From Evidence” (2015) 74(2). Australian Journal of Public Administration, 128-141. Healy, Bill and Noel, Renouf, Contextualized social policy: an Australian perceptive. In Mental Health at the Crossroads, 55-66. (Routledge, 2017). Richard, Baldwin, Lynn Chenoweth, and Marie, Dela Rama, 2015, ‘Residential Aged Care Policy In Australia-Are We Learning From Evidence” (2015) 74(2). Australian Journal of Public Administration, 128-141. Healy, Bill, and Noel, Renouf, Contextualized social policy: an Australian perceptive. In Mental Health at the Crossroads, 55-66. (Routledge, 2017). My Sister’s Keeper. The film is centered around a couple and a girl named Kate. Kate has been diagnosed with leukemia. According to consultant doctors, the prognosis is poor. Kate’s guardians have welcomed the idea of duplicating Kate’s chromosomes through hereditary imagining to produce Anna(another child) with the end goal of sparing Kate’s life (Film Analysis, 2013). Anna gets some answers concerning her origin, and she is filing a claim against her folks. Anna asserts and demands her ‘entitlement to life.’ Kate is becoming weaker, and the symptoms are not improving even after medication. Kate is on hemodialysis because her kidneys fail to function (Film Analysis, 2013). Health Perception. Kate understands her condition and adheres to the treatment regime and advice from the specialist (Film Analysis, 2013). Nutrition. The Family takes considerable measures concerning food since Kate has been diagnosed with leukemia. The family’s diet includes clean food obtained from natural sources (Film Analysis, 2013). Elimination Pattern. Kate is receiving hemodialysis sessions because she has been diagnosed with kidney failure. Fluids input and output are consistently measured (Film Analysis, 2013). Activity Pattern. Kate loves shopping and going to the shoreline (Film Analysis, 2013). Cognitive Pattern. There are no sensory deficits noted, Kate reads her books and listens to music (Film Analysis, 2013). Sleep and Rest Pattern. Kate’s sleep pattern is regular although pain interferes with her sleep. Kate sleeps during the daytime when she is tired (Film Analysis, 2013). Self-Concept and Self-Perception Pattern. Kate acknowledges the disease and continues to grin all through the film (Film Analysis, 2013). Relationship/Role Patterns. Kate’s family bonds although some relationships are broken. Kate adores Taylors who is empowering her (Film Analysis, 2013). Coping And Stress Tolerance Pattern. Kate’s family helps her to cope and understand her symptoms. Kate’s boyfriend is supportive, and when the boyfriend passes away, the family comforts her (Film Analysis, 2013). Cultural, Geographic, Religious, Ethnic, Or Spiritual Considerations. Normal appraisal discoveries. Kate is a young lady who needs to shop and go to the shoreline frequently (Estes, 2013). Unusual or Chance Based Discoveries. When Kate remembers her boyfriend who passed away, she becomes weak and weary. Kate experiences epistaxis as a complication of leukemia (Estes, 2013). Health Promotion. Health promotion measures would include; the reduction of exposure to the high concentration of radiation rays and abstinence from use of tobacco products (Jarden, Møller, Christensen, Kjeldsen, Birgens, & Adamsen, 2016). Disease Prevention. Disease prevention measures will include monitoring input and output of fluids, examination of the skin and mucous membranes for the presence of petechia and ecchymosis, assessing for bleeding gums and blood in the urine or stool (Jarden et al., 2016). Health Maintenance. Health Maintenance measures will include responding to Kate’s health care needs (Jarden et al., 2016). The hospice offers help and cares for people diagnosed with terminal conditions such as Kate. Hospice care expresses and acknowledges the patient’s emotions related to the presenting symptoms (Jarden et al., 2016). My Sister’s Keeper is a powerful movie depicting medical issues including patients’ rights and morals. The emotions evoked by the film allow viewers to make decisions concerning their well-being and contemplate the regularly neglected patients’ rights. Let us write for you! Estes, M. E. Z. (2013). Health assessment and physical examination. Cengage Learning. Jarden, M., Møller, T., Christensen, K. B., Kjeldsen, L., Birgens, H. S., & Adamsen, L. (2016). Multimodal intervention integrated into the clinical management of acute leukemia improves physical function and quality of life during consolidation chemotherapy: a randomized trial ‘PACE-AL.’ Haematologica, 101(7), e316-e319. The article addresses health disparity among sexual minorities; lesbians, gays, bisexual and transgender (LGBT) minorities. The article explores how sexual orientation among LGBT minorities negatively influences health outcomes (Trinh, Agénor, Austin, & Jackson, 2017). The article addresses the poor healthcare response towards health risk behaviors among the LGBT. Health risk behaviors such as alcoholism and cigarette smoking are prevalent among the LGBT. The information in the article improves the understanding of LGBT’s health behaviors. Eventually, response to LGBT’s health behaviors improves (Trinh et al., 2017). Lack of comprehensive laws that advocate for the rights of LGBT causes the health disparity. The small number of LGBT members reduces the effectiveness of lobbying. Cultural values that view lesbianism and homosexuality as immoral cause health disparity for the LGBT (Trinh et al., 2017). LGBT minorities have reduced access to healthcare. LGBT minorities are not entitled to some healthcare programs. Health risk behaviors like drinking and smoking are prevalent among the LGBT and thus the risk of health conditions like cardiovascular diseases and obesity (Trinh et al., 2017). The article recommends the enactment of laws that advocate for social healthcare protection. The article recommends for the enforcement of the LGBT anti-discrimination laws (Trinh et al., 2017). Statistics back the findings, the correlation between LGBT and risk behaviors leading to the poor outcome. The article identifies the gap in research and recommends the implementation of anti-discrimination laws. The article describes how discrimination leads to poor health outcome among the LGBT (Trinh et al., 2017). All pertinent issues we included; sexual orientation and different LGBT health disparities were included in research and the relationship of various ideas is included (Trinh et al., 2017). The article should have included other factors underlying discrimination on the LGBT, such as socioeconomic factors. The article should have included how social status such as education contributes to discrimination. Lastly, the article should include how economic status contributes to discrimination against LGBT (Trinh et al., 2017). Get a quote for this work. Trinh, M. H., Agénor, M., Austin, S. B., & Jackson, C. L. (2017). Health and healthcare disparities among US women and men at the intersection of sexual orientation and race/ethnicity: a nationally representative cross-sectional study. BMC public health, 17(1), 964. Perioperative Nursing Dilemma . What is your understanding of the dilemma of providing information to carers while considering the confidentiality concerns relating to the patient/client. Consider the ethical implications in your consideration of the issues. The principle of confidentiality is centered on the trust between peri-operative nurses and patients. Confidentiality is a duty of all peri-operative nurses in protecting the patient’s information. Sharing information appropriately is essential in providing safe and effective care to an individual patient during peri-operative nursing care. However, the existing laws and ethics on the patient’s confidentiality present dilemma to peri-operative nurses. In some cases, nurses are expected to provide accurate and reliable information to caretakers on patients who require surgical intervention and also those who have already undergone surgery. However, the patient’s caretakers require the consent of the patient to access such information. Peri-operative nurses have a duty in safeguarding patients’ privacy (Williams & Pigeot, 2017). Patients’ right to confidentiality presents a dilemma to peri-operative nurses who disclose patients’ information. Patients’ right to confidentiality is fundamental in nursing and must be observed keenly by the peri-operative nurses. Peri-operative nurses have a role in protecting the rights of the patient when providing peri-operative care. Besides, the patient has the right to withhold information from both the peri-operative nurses and the caretakers. On the other hand, the participation and involvement of caretakers are important. Patients’ caretakers help in providing relevant information on the patient. Further, the patients’ caretakers assist the patients to adhere to medication and other management approaches at the home setting. One of the roles of the peri-operative nurse is to offer a link between hospital care and care at home setting. Collaboration between nurses and the patient’s caretakers is required for linking care from the hospital to care at home. Sharing the information with the caretakers is one of the ways of facilitating home-based care (Tschirch, Leyden, Dufrene, & Land, 2017). Patient caretakers often request to be informed about the peri-operative progress of the patient. During some surgical operations, anesthesia administered induces patients into unconsciousness. In the unconscious state, the patient may not provide consent for the information to be shared. One of the ethical roles of peri-operative nurses is to uphold the principle of fidelity. Peri-operative nurses should remain honest in maintaining the patient’s confidentiality. However, the role of the peri-operative nurses is to incorporate patients’ caretakers into the care for the patients. To incorporate caretakers into the care, sharing patient information is inevitable (Jeon, Lakanmaa, Meretoja, & Kilpi, 2017). One of the aspects of quality peri-operative nursing care is holistic care. Sharing patients’ information to the caretakers is fundamental in providing holistic peri-operative nursing care. Nurses are, therefore, faced with the difficulty of balancing between providing holistic nursing care and maintaining the confidentiality of the patient’s information (Jeon et al., 2017). The role played by caretakers in making decisions for the patient is a source of a dilemma to peri-operative nurses. Peri-operative nurses aim at providing patient-centered care. In order to achieve patient-centered care, peri-operative nurses involve the patient’s caretakers. However, patients’ information should be kept private and accessed only by the authorized healthcare providers. Therefore, nurses are faced by the dilemma of maintaining the patient’s privacy and the importance of caretakers’ role in patient centered care (Merkow & Breithaupt, 2014). The importance of providing information on inherited and communicable conditions causes a dilemma to peri-operative nurses. Most cancerous tumors have familial inheritance and are managed surgically. Government public health policies may require discussion of patients’ information with family members. Such policies are important in combating genetically inherited conditions. Peri-operative nurses are faced with the dilemma between upholding public health policy and maintaining the confidentiality of patients’ information (Merkow & Breithaupt, 2014). In conclusion, maintaining patients’ confidentiality is one of the ethical roles of peri-operative nurses. Sharing patients’ information with caretakers facilitates the provision of quality peri-operative nursing care. Nurses are faced with the dilemma of disclosing patients’ information for improving patients’ care and maintaining patients’ confidentiality. 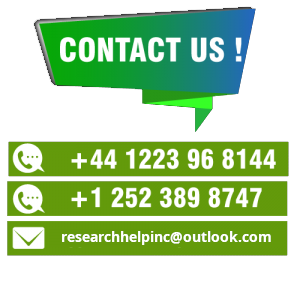 Discuss with us your requirements and we will offer a solution! Jeon, Y., Lakanmaa, R. L., Meretoja, R., & Leino-Kilpi, H. (2017). Competence assessment instruments in perianesthesia nursing care: A scoping review of the literature. Journal of perianesthesia nursing. Merkow, M. S., & Breithaupt, J. (2014). Information security: Principles and practices. Pearson Education. Tschirch, P., Leyden, K., Dufrene, C., & Land, S. (2017). Introducing peri-operative nursing as a foundation for clinical practice. AORN Journal, 106(2), 121-127. Williams, G., & Pigeot, I. (2017). Consent and confidentiality in the light of recent demands for data sharing. Biometrical Journal, 59(2), 240-250.